Twelve Devour Phoenix restaurants and local food producers joined together to support our home-town food rescue organization, WasteNOT. Each restaurant created a dish featuring a local food producer and donated proceeds to WasteNOT. This was a special event put on by Devour Phoenix to celebrate Food Day! 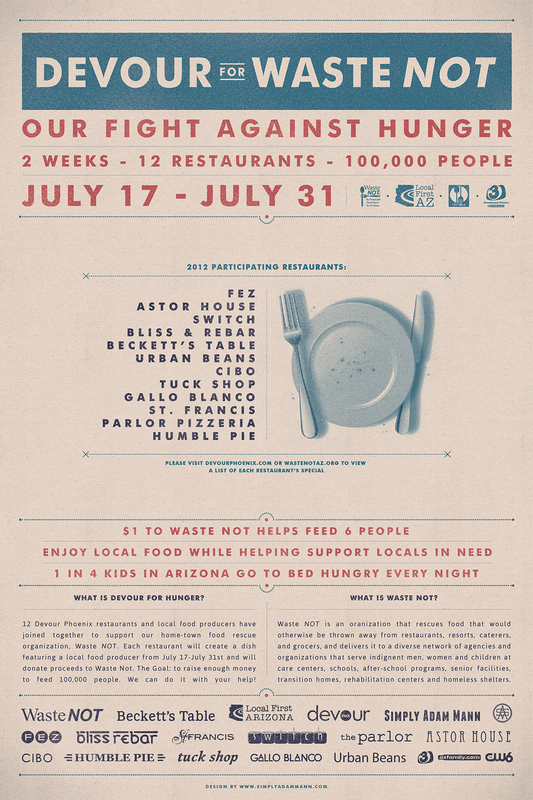 Devour Phoenix is a city-wide, non-profit coalition of select, independent restaurants operating under the Local First Arizona umbrella.